The FG Tour F5 Rain Top from Wilson Staff has been designed to enhance your movements and create less restriction when you need protection from the elements. 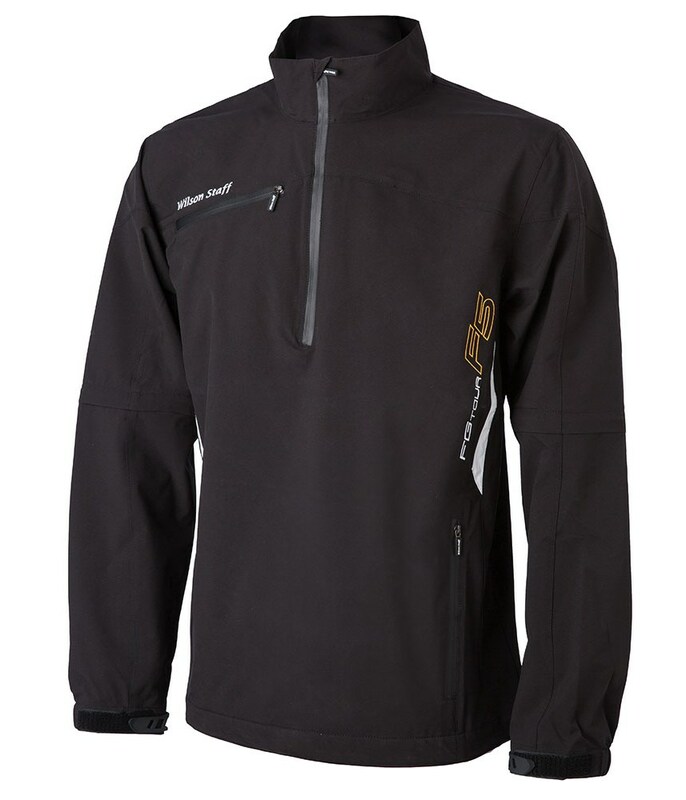 This lightweight 2-layer laminated fabric will protect you from the wind, the rain and cold as well as being fully breathable for the best possible performance in all climates. 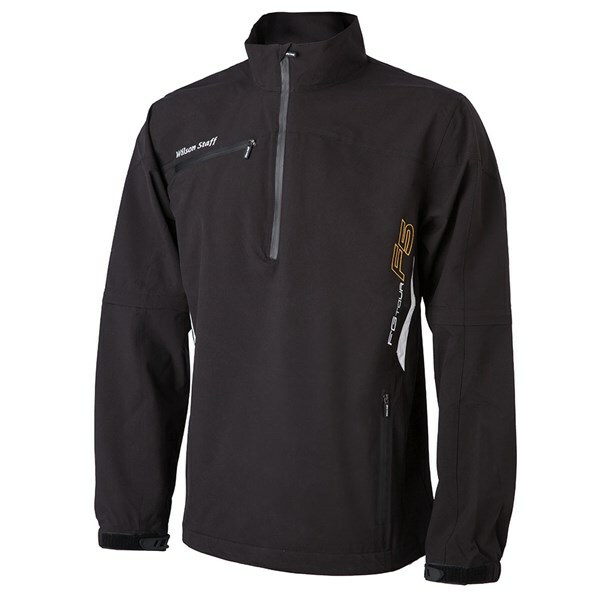 For versatility Wilson Staff have used a detachable sleeve design and for the perfect fit the FG Tour Rain Top features an adjustable hem and a comfortable half zip design. Wilson Staff have added to waterproof side pockets as essential storage room for your golf accessories. 6000MM *Both are high rating.